Younique products have made several appearances in my social media feed in the past 2 years with their popular 3D fiber lash mascara. What intrigued me the most was that Younique and all of Younique’s representatives have been promoting their products as cruelty-free but I have not seen Younique listed on any cruelty-free database or list. So what’s the deal? Is Younique actually cruelty-free as they claim? This is an excellent example of how anyone can virtually call their products “cruelty-free”. Although Younique may not test their products on animals, the raw ingredients may have been sourced from suppliers that do test on animals. Now it’s not clear whether if their ingredient suppliers do or do not test on animals based on their statement, so I thought the best way to get a clear answer is to e-mail Younique directly and ask how far along they are in their process to being certified cruelty-free. Related: What Makes A Product “Cruelty-Free”? I was extremely happy to read on your website that Younique does not test their products on animals and is currently working on being certified cruelty-free. I just wanted to follow-up with this statement and was wondering how that process is going and which cruelty-free certification programs (like Leaping Bunny, PETA’s Caring Consumer, Choose Cruelty Free) are you exploring? I’m also curious to know if any of Younique’s products retail in China or if you have plans to distribute there in the near future? Unfortunately, we are unable to provide you with further information at this time. Younique does not test our products on animals. However, Younique has not conducted an in-depth cruelty-free review tracing each ingredient back to such ingredient’s original source at this time. Currently, we are shipping and selling in the US, Canada, Australia, New Zealand, the UK, Mexico, and Germany. What concerns me about Younique’s response is the lack of transparency. As any cruelty-free consumer knows, the statement, “Younique does not test our products on animals” does not provide us with enough assurance that their products and ingredients were not tested on animals at all stages of production. At this point and based on their response, I would not consider Younique to be a cruelty-free brand. It’s up to companies to decide if they choose to do business with certain suppliers and all cruelty-free companies must verify and make sure that their ingredient suppliers consent to a no animal testing policy. Unfortunately Younique has failed to do this. I want an honest answer from you.. Do you experiment on animals. Thank you so much for this article and research. 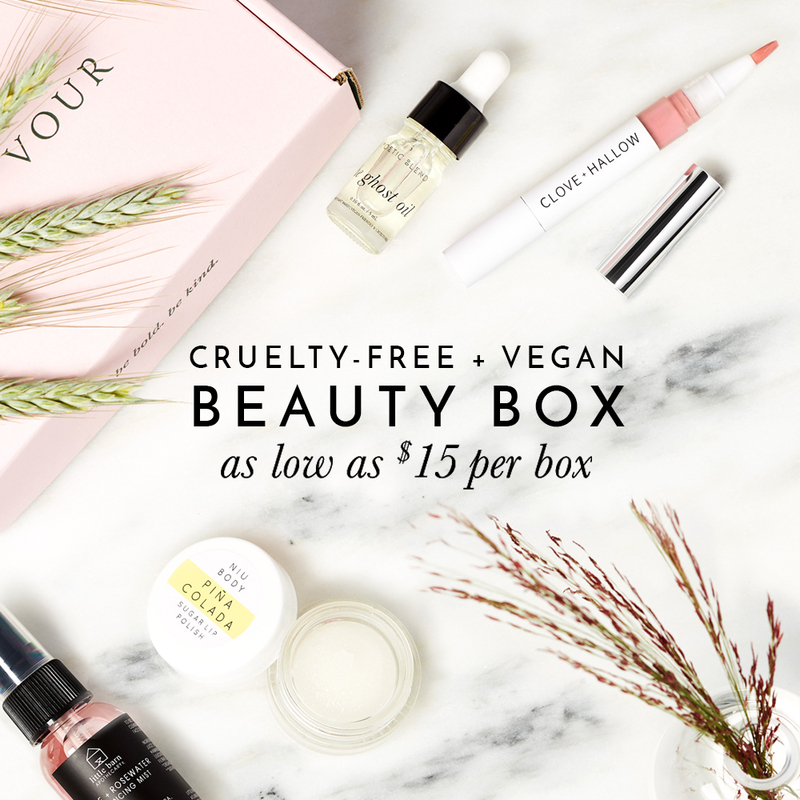 I would love to try some of these products and help support a good friend of mine by doing so, but not if this company has issues with transparency and confirming cruelty status of their products. Your website is such a wonderful tool to the public that wants to be sure they’re not supporting industries that treat animals in horrendous manners. Obviously if everyone were to email companies asking about ingredients being tested on animals, responses would be more likely a miss than a hit. Such a wonderful idea. Keep doing what you’re doing! I’m really confused by your response here. The point of the article is not whether all Younique reps do or do not say that the brand is cruelty free. The point of the article is the lack of transparency from the website and email response from its head office. It is unclear if they are fully cruelty free and that us the point of the article. It’s irrelevent how many reps say it is or it isn’t, this does not change the fact that actually, no one apart from the big bosses really know. Also, they are not chastising the company for what the reps or do not not say, they are “chastising the company for testing their products on animals. Which is a slightly bigger issue. Younique does not claim to be cruelty-free. Our founders, nor anyone at the corporate level, have never stated that Younique is cruelty-free. That’s the thing – you don’t see us on the lists because we don’t have that certification. Younique has been very transparent about that. Not sure what the confusion is. When was Younique in court? Also – our fibers are not made from green tea fibers. That was the original formula, which was pulled over 2 years ago. One more thing – all ingredients are listed on each product page. I am a new comer to Younique, I love the make up I am 60 years old and have not worn make up for at least 30 years. I support the ethos behind the company empowering women who has gone who are going through any sort of abuse in their lives. I am a survivor of every kind of abuse. I have read what wonderful things this company does, I am still a little critical of just how this is supported, and how the funds are projected to these causes. I am now looking into the ethics behind the company, on animal rights. I am a little confused into which direction my energies should go. I have read the resources on your web page and they look amazing, is it the funding from the cosmetics that support these groups, or is it the empowerment of women who use your products, in a way that they are survivors and we will stand in the face of our abusers and say I am worth it. My wife I agree with Maruerite, there is no justification for using animals in the cosmetic industry – cosmetics are not essential to life. I am sad to hear that Younique has not researched all its ingredients (but I bet it has done all its marketing research). Several of our family members are agents for Younique but will not persuade us to buy their products until they can accurately say the products are completely cruelty free. I shall also advise our family members about this situation. Putting any makeup company aside, if the concern is for the well-being and ethical treatment of animals…and let me be bold here…shouldn’t some of the advertising you allow on the blog be removed. I’m certain, for example, SunBasket, while they have Vegetarian options, perhaps even Vegan, still serve meat products, as well as some of JustFab’s shoes and clothing, are made from non-ethically manufactured and probably non-ethical treatment of employees or labor at the cost of a less expensive product…and the list can continue, but you get the point I’m making by now. The depth that one can go just alone on the cruelty-free companies. I mean, go in and research what the owners and employees are doing in their own lives, wearing on their bodies or consuming in their diets, where does the cruelty-free line end? I appreciate your candor and your dedication to the Vegan movement, but fair is fair in the ethical treatment of how you use your words to label a company or a product and so on. I get it…sharing what you like is yours to do that’s a given. Additionally, I appreciate your view because after all we are all entitled to one. It’s what makes the world beautiful, like you. Thanks for the contrast. Hi Vicky, thank you for your well-written blog on this topic. I am very disturbed by Younique’s lack of transparency as a company and their failure to pursue cruelty-free certification after so much time of claiming that they are, only to reveal that they are not. Do you know if they have made any effort or progress at all to acquire cruelty-free certification since this blog wasn’t posted one year ago?